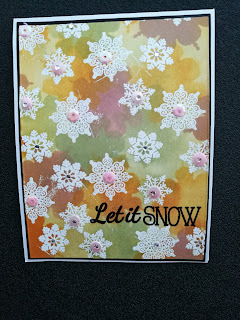 Bonscraft: Simply Cards & Papercraft 156 FREE Let it Snow embossing folder, die and stamp set! 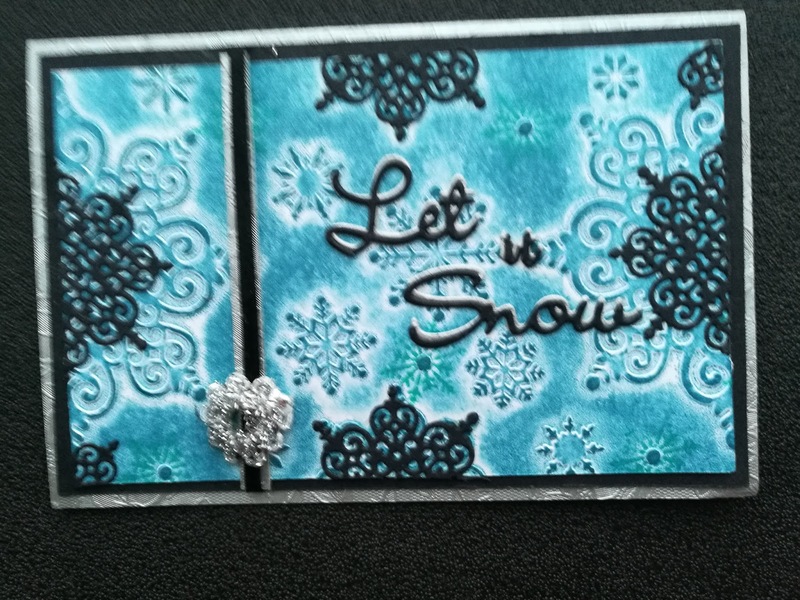 Simply Cards & Papercraft 156 FREE Let it Snow embossing folder, die and stamp set! 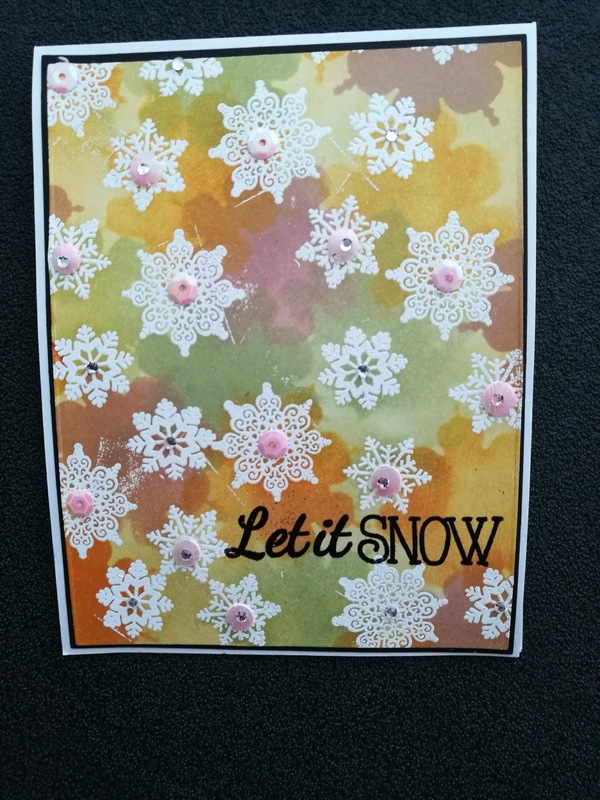 Simply Cards & Papercraft 156 comes complete with the amazing Let it Snow embossing folder, die and stamp set! 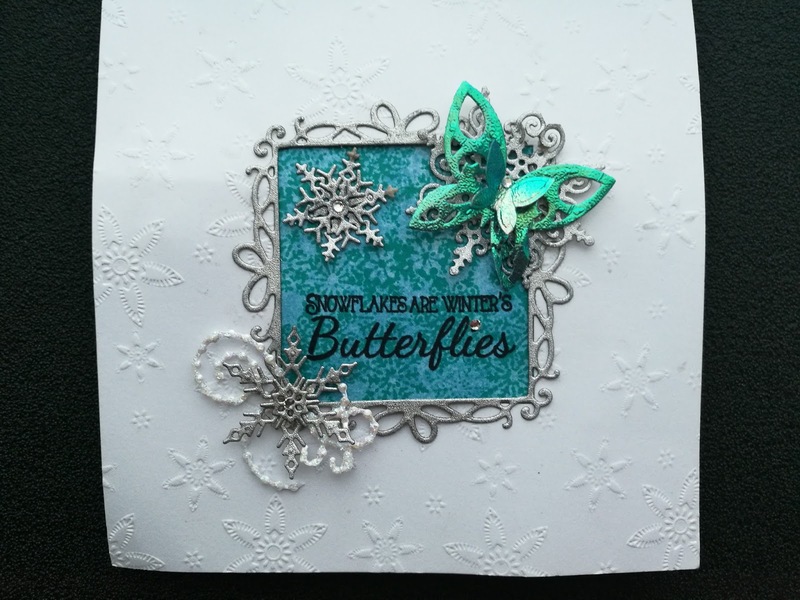 The elements work perfectly together as well as separately to cater for all-occasion cards for the season. I used a Creative Dies, Let it Snow sentiment die, for my message. 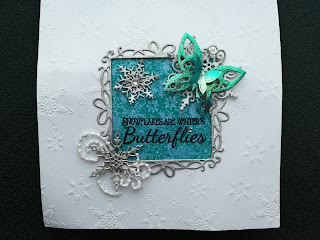 I used IO mini snowflakes die as well as Tattered lace mini flourish die and some butterfly dies. 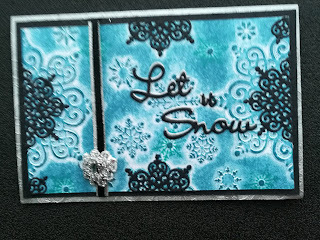 For the back ground I cut the snowflake die out of cardstock and used the negative with Distress inks. I know that this is a set I will definitely use again in future and really enjoyed working with it. I store my freebies in Clear-Mount Stamp Cases or Full Wide Stamp Cases by Stampin UP, depending on the space I need, with all the masks and extra die cut I have made.